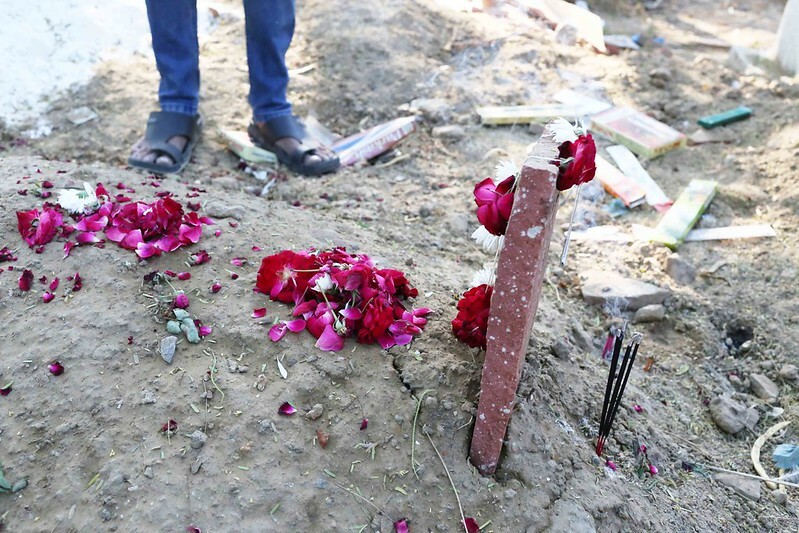 The grave is unevenly covered with red roses. 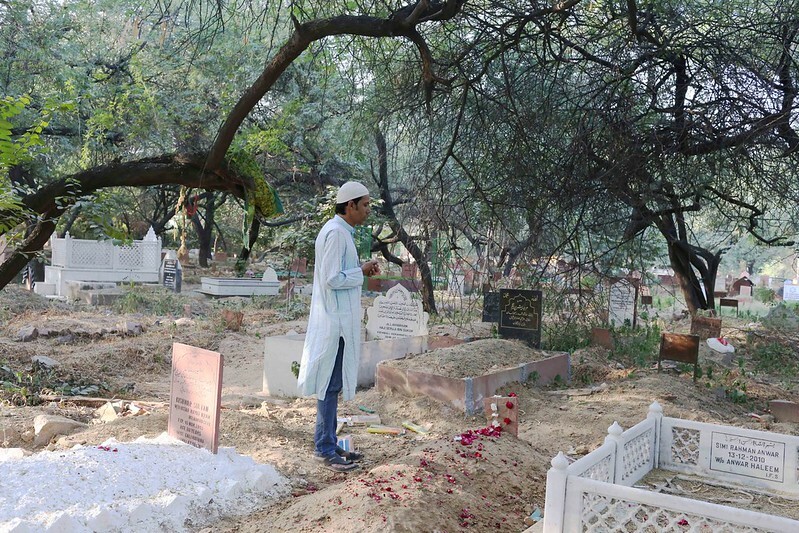 The Delhi Walla is standing by the resting place of Meraj Ahmed Nizami in Panj Peeran Qabristan. 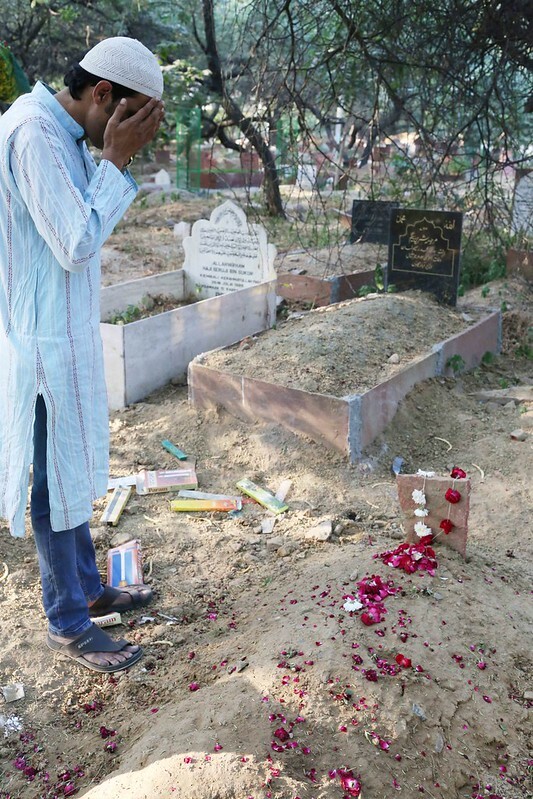 The patriarch of Nizami Khusro Bandhu family in the Sufi shrine of Hazrat Nizamuddin Auliya, the great qawwal singer died two weeks ago following a long illness. He was in his late 80s. 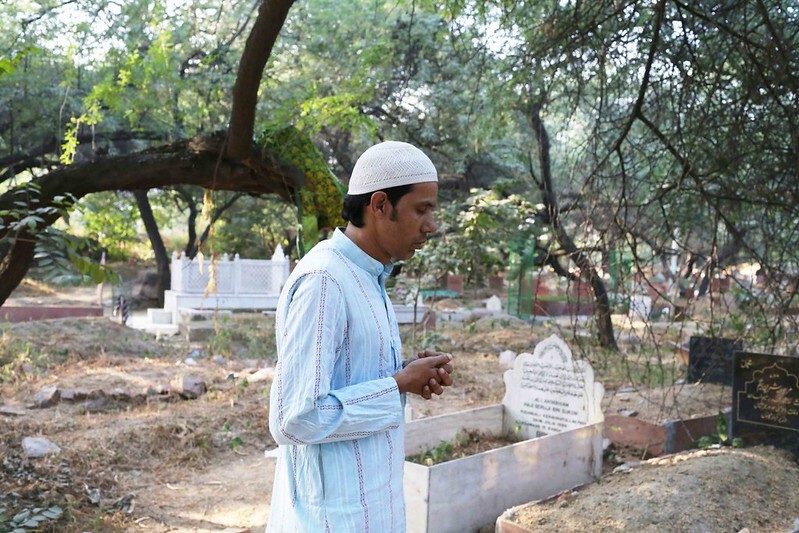 A scholar of Sufi music and also of Persian language, Meraj Ahmed Nizami’s grave is a mound of brown earth. 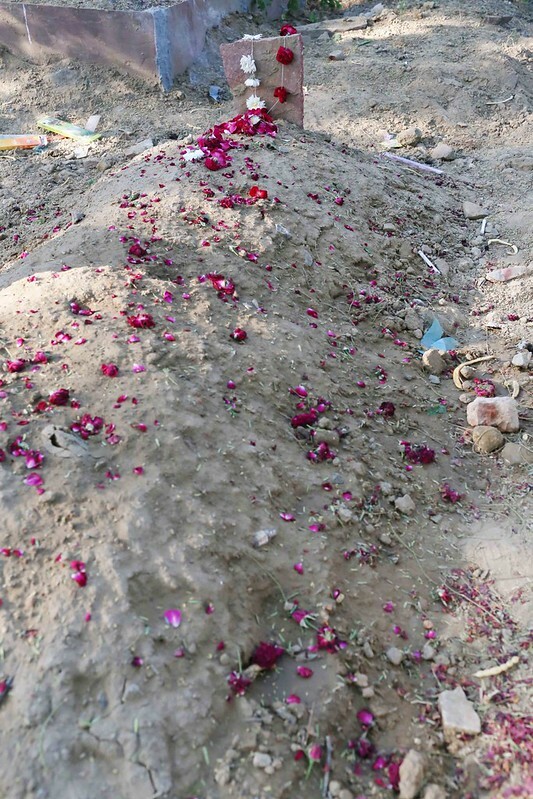 Considered the last of the classical qawwals, his final address is marked with a slab of red stone. 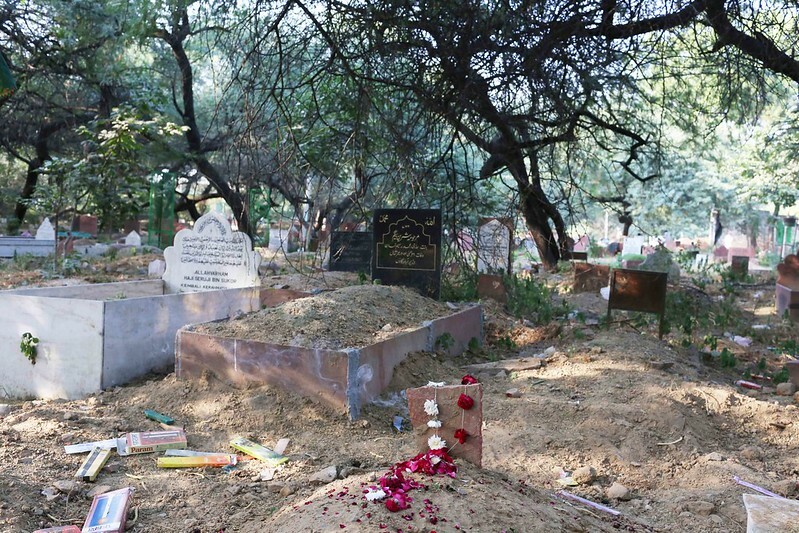 “I have to offer flowers from Hazrat Nizamuddin’s Dargah until the end of the 40 days of mourning,” says Hasnain Nizami, the eldest of the late qawwal’s five sons. Like all his brothers, he, too, is a qawwali singer. 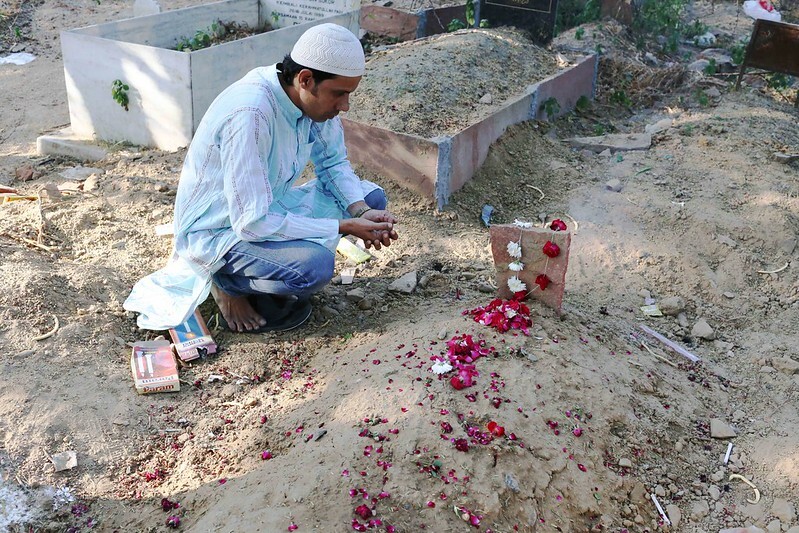 The eldest son then closes his eyes and prays for Meraj Ahmed Nizami. It is a sad moment.